The Kazarma is a historical site and the top new entry in gastronomy. 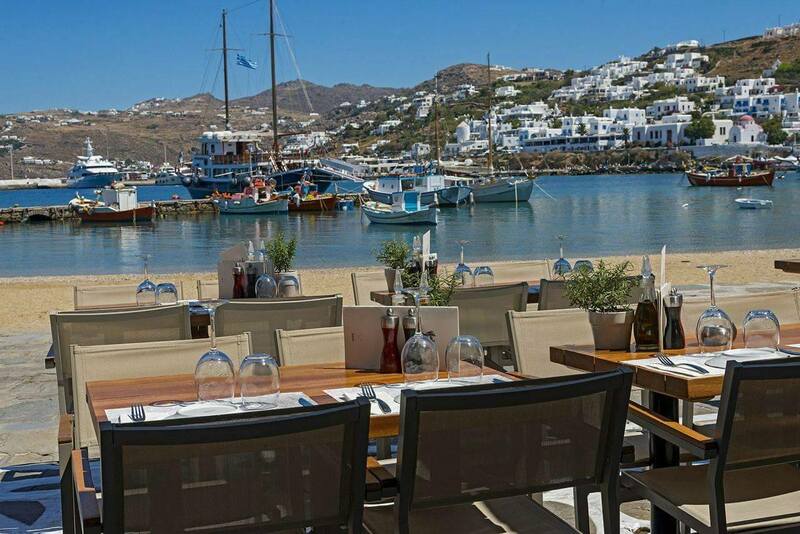 Completely refurbished with a new concept reminiscent of a European bistro comes to give an air of renewal to Gialos, Mykonos! All day with fine coffee, a rich breakfast, a cozy lunch list and a special evening dinner style. Selective wine list with Greek and foreign labels! Right on the sea, it will undoubtedly travel to you! Rich showcases with traditional dishes, fine cheeses and varieties of sausages! The talented chef Stavros Bariabashas already won the impressions with his suggestions: crispy cod with black garlic and mesclun sauce, risotto with shrimp, ginger and lemon scent, cool salad with marinated octopus in honey and lemon, white beans, almonds and raisins, who can resist?